There are duck races, debauched feasts, and one of the best royal ball dancing sequences I’ve ever seen that’s so offhand in its anachronistic absurdity one can’t help but think, “Wait…What? I kinda liked that!” Though the Queen apparently hated the funky moves. And there’s a miracle of a performance from Olivia Coleman as Queen Anne, who even while she is shrilly yelling at helpless errand boys, somehow manages to make you sympathize with her situation (that included 17 miscarriages, battles with gout, and ultimately a stroke). Heavy is the crown of someone who has no idea what she is doing, has been surrounded by vipers, and all she wants to do is love on some rabbits. Yes, Emma Stone is a wicked delight. And Rachel Weisz is perfection, and get’s gifted with many of the best lines that she delivers with equal parts droll ennui and sarcastic venom (her closing remark of, “Oh, the mail has arrived,” is a contextual howler after all that happened). But it’s Olivia Coleman who you feel the most for, and as such, is the most interesting indeed. 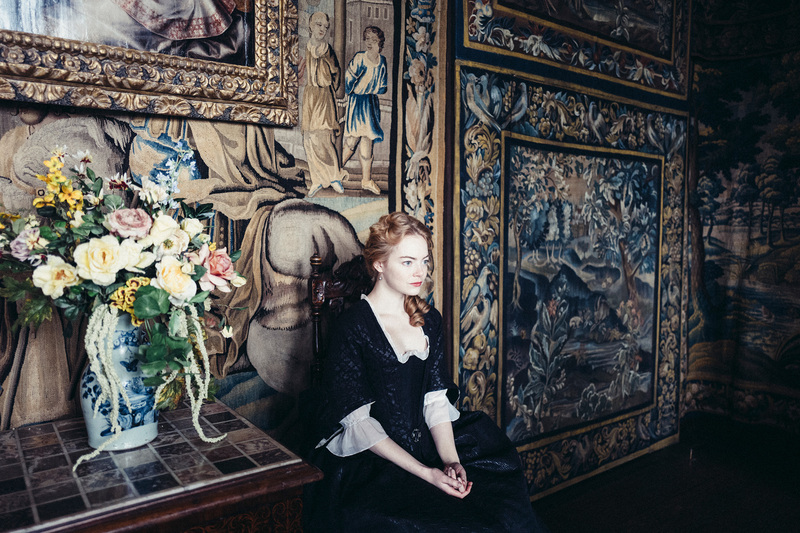 This entry was posted in Art-house Cinema, History, Movie Reviews, Movies and tagged 1700's, Emma Stone, England, Farce, Historical Drama, Olivia Coleman, Queen Anne, Rachel Weisz, Satire, The Favourite, Yorgos Lanthimos.